A conditioning hand treatment to help repair, hydrate and protect hands. Penetrates quickly leaving hands feeling soft, smooth and hydrated. ‘Non greasy’, nourishing cream helps protect nails from drying and splitting. Australian made skin care. 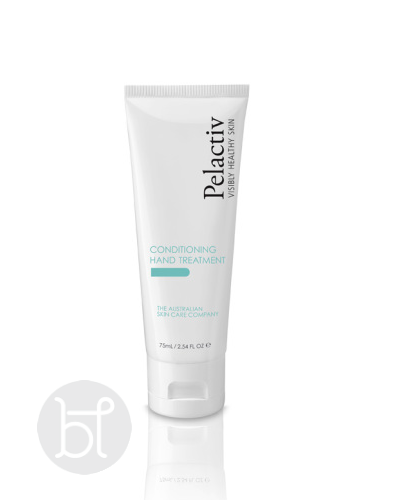 A conditioning hand treatment to help repair, hydrate and protect hands. Penetrates quickly leaving hands feeling soft, smooth and hydrated. ‘Non greasy’, nourishing cream helps protect nails from drying and splitting. Unique extracts of Quandong, Rosehip Oil, Argan Oil and Anti-oxidants ensure to provide nourishment and protection to your hands and elbows. Native Common Black Thorn helps reduce sun damage. Penetrates quickly leaving hands feeling soft, smooth and hydrated. Non-greasy nourishing cream helps protect nails from drying and splitting. Unique extracts of Quandong, Rosehip Oil, Argan Oil and antioxidants ensure to provide nourishment and protection to your hands and elbows. Apply any time of the day or night to protect and nourish the skin on hands and elbows. Apply especially after washing hands to prevent drying out from harsh soaps.